Hello my name is Sannon. I have been looking for a home for a long time. I was a stray and ended up in the pound I dont know why. I have been here since then but in the kennels I have been overlooked. 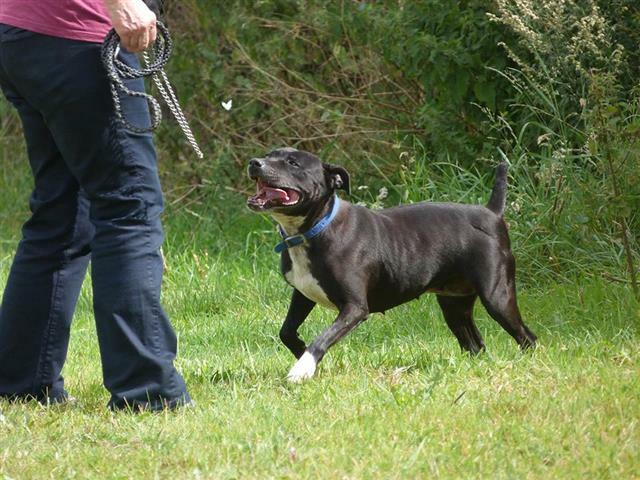 Senior Staffy Club are now helping me to find a new home and have been to see me. I have been a walk with another dog and I didn't mind a bit, we also stopped to talk to people and I didn't mind stopping to spend time with their dogs either...but I don't like sharing my kennel so think I would prefer to be the only dog in my new home. I am a little quiet but if you spend time to say hello to me I will lean up your leg and love to sit up against you. I am just a bit shy and need some time to get to know you . You will see I have a short tail..sadly I had to have it cut short when I injured it but it makes me very distinctive dont you think? At some point in the past I have also injured my leg and I had a metal plate already in there when I was found. That was causing me pain so it was removed, and it feels much better....but you will see a scar on my leg. I dont know why no one has offered me a home perhaps I am not pretty enough or too quiet so no one notices me? 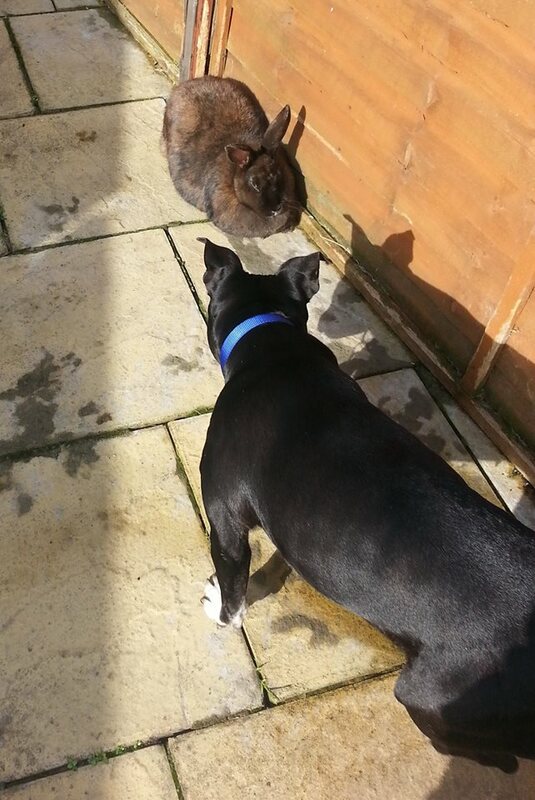 Anyway now Senior Staffy Club are getting to know me maybe my chance will come along soon. I do hope you notice me and come to see me soon. Shannon will be spayed, vaccinated and microchipped . She is in the Shropshire area but can be rehomed anywhere in the UK, pending a successful home visit. However any adopter should be willing to travel to meet her where she is now.